Flower essences are liquid, potentized plant preparations which convey a distinct imprint, or etheric pattern of a specific flower. These remarkable remedies expand our understanding of health care, recognizing a relationship between body, and soul, and the interweaving of spiritual, mental, emotional, and physical aspects of wellness. Flower essences enjoy a reputation of being not only highly effective, but also very safe to use. They are not part of standard biochemical medicine for they contain only minute traces of physical substance. Rather they belong to a pioneering new field of potentialized remedies which derive their beneficial powers from the inherent life forces within substances. The effect of the essences is similar to that in meditation in that the patient accesses the wisdom of their Higher Self and it directs their own healing. Their system is "flooded" with the positive virtues needed from the Higher Self and a "washing out" of the negativity which caused their disease occurs and balance is restored. Flower essences were first originated by English doctor Edward Bach, M.B. B.S., M.R.C.S., L.R.C.P., D.P.H., in 1930. He found, perfected and put into use a system of medicine as simple as it has proved effective. Dr. Bach taught that the basis of disease was to be found in disharmony between the spiritual and mental aspects of a human being. This disharmony, to be found wherever conflicting moods produced unhappiness, mental torture, fear, or lassitude and resignation, lowered the body's vitality and allowed disease to be present. For this reason the remedies he prepared were for the treatment of the mood and temperament of the patient, not for the physical illness; so that each patient becoming more himself could increase his or her own vitality and so draw from an inward strength and an inward peace the means to restore health. Bach wrote in his book "The Twelve Healers and Other Remedies": "In treating cases with these remedies, no notice is taken of the nature of disease. The individual is treated and as he becomes well the disease goes, having been cast off by the increase in health. All know that the same disease may have different effects on different people; it is the effects that need treatment, because they guides to the real cause. The mind being the most delicate and sensitive part of the body shows the onset and the course of disease much more definitely than the body, so that the outlook of mind is chosen as the guide as to which remedy or remedies are necessary." Dr Bach stressed that his remedies could be used in conjunction with any other form of treatment, and would not clash or interfere. Equally they could achieve great results used alone. We currently have in stock the 38 original Bach Flower essences. 72 American Flower Essence Society essences, 44 Australian Bush flower essences and 60 New Zealand New Perception flower essences. A complete list and description of all the 214 Flower Essences currently available will be sent out on request. The essences are most commonly taken orally from a glass dropper bottle, by putting four drops under the tongue several times per day. 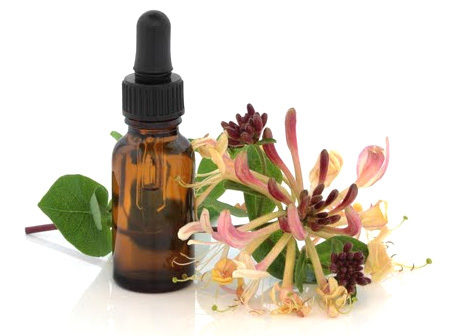 Regular, rhythmic use of the flower remedies builds the strength of their catalytic action. Therefore, potency is increased not by taking more drops at one time, but by using them on a frequent, consistent basis. In most cases, the essences should be taken four times daily, although this may need to be increased in emergency or acute situations to once every hour, or even more often. On the other hand, children or other highly sensitive persons may need to decrease the frequency of use to once or twice daily. Each time and every time the remedies are used their effects can be strengthened by using an appropriate affirmation at the same time. Flower essences are of great benefit when absorbed directly through the skin, in addition to the standard oral dosage. Essences can be added to bath-water, or to creams, lotions, and oils. The descriptions portray a range of behaviours that each particular Flower Essence treats and the positive outcomes of treatment. In each particular case only one, or more, of the behaviours listed may be applicable, depending on the individual circumstances. 1: You may choose your own single Flower Essence. 3. You may have one or more Flower Essences prescribed for you after giving information on your situation. 4: You may have the Flower Essences prescribed intuitively by Michael Hayman. The only information required is your name. Includes the flower essence descriptions and instructions for use. These essences will be chosen by Michael Hayman after assessing your situation. Includes the flower essence descriptions and instruction for use. These essences will be chosen intuitively by Michael Hayman.